is jammin&apos; all weekend long for the California Roots Music & Arts Festival. The three-day event is packed with live music, fantastic food, refreshing beverages, creative artwork and sustainable practices. Featured reggae acts include 311, Damian "Jr Gong" Marley, Rebelution, Soja, Ziggy Marley, Pepper, and many more. Friday-Sunday. 2004 Fairgrounds Road, Monterey.Friday tickets only, $65. Get a free tour of beautiful Asilomar State Park on Friday and Saturday mornings. The "Asilomar Ramble" provides all sorts of insights into Pacific Grove&apos;s coastal gem including its cultural history and tidbits on Asilomar Conference Grounds&apos; architecture. Tours start at the Phoebe Social Hall at 9:30am. Call 831-646-6443 for reservations. Friday and Saturday from 9:30am-10:30am, 800 Asilomar Avenue, Pacific Grove. Free event. Watch the "funniest police office" take the stage Planet Gemini Friday and Saturday for a hilarious stand-up act. Michael Mancini is always a crowd pleaser and be sure to stay afterwards for karaoke and dancing. Friday and Saturday at 8pm. 2110 Fremont Street, Monterey. $10. Get in the mood for love tonight at the Sunset Center. The Four Freshmen bring classic jazz and pop tunes to life and if you love The Mamas & The Papas, Frankie Valli, The Manhattan Transfer, and The Beach Boys, you are in for a treat! 8pm. San Carlos Street at Ninth Avenue, Carmel-by-the-Sea. $49-$69, gala tickets are $275. Midnight North and Scary Little Friends stop by Fernwood Tavern in Big Sur tonight. 9pm, 47200 Highway One, Big Sur. Free event. Bring the kiddos over to MY Museum this morning for a pancake breakfast with Quickly the Spatula. Dress up in your favorite pajamas and join author Jeryl Abelmann for a morning of tasty pancakes from Daddy&apos;s City Dinner, story time, and fun! 10am-11:30am. 425 Washington Street, Monterey. $8, call 831- 649-6444 to pre-register. The Listening Place, Readers Theatre presents ¿Habla Ingles? Do you Speak Spanish? by Terry Kingsley-Smith. this afternoon at the Monterey Museum of Art-La Mirada.1:30pm, 720 Via Mirada, Monterey. $10. Celebrate Memorial Day (and your day off) honoring those that serve our country. 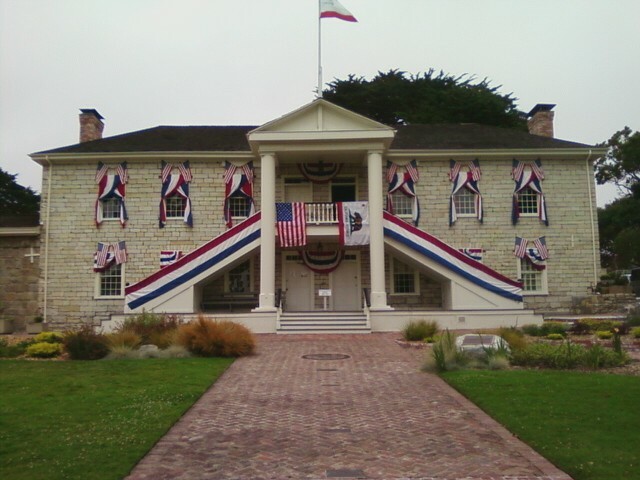 The Monterey Pops puts on a free Memorial Day concert at Colton Hall with patriotic songs like This Land is Your Land, America the Beautiful, and Star Spangled Banner. 2pm. 570 Pacific Street, Monterey. Free event.